The Greek Computer Society (GCS/ΕΠΥ) and the Department of Informatics & Computer Engineering of University of West Attica (UniWA) organise the 22nd Pan-Hellenic Conference on Informatics (PCI 2018) in Athens, Greece, on 29th November -1st December 2018. Following the earlier successful conferences, PCI 2018 gives room for scientists, experts and professionals in computer science and the emerging fields of informatics to present original research results, to share experience and to exchange ideas.The conference provides a unique opportunity for presenting methodological approaches to describe, explain, predict, and design information and communication models, architectures, and systems for the business environment. 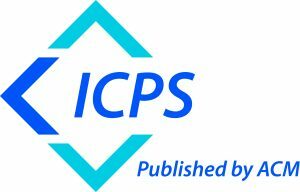 PCI 2018 encourages the submission of high quality papers describing original and unpublished results of conceptual, empirical, experimental, or theoretical work in all areas of Computer Science. PCI 2018 proceedings will be published in ACM Digital Library. The official language of the conference will be English. PCI is an event established by the Greek Computer Society. The 1st Conference took place in Athens 1984. Subsequent events took place in Thessaloniki (1988), Athens (1991, 1993, 1995, 1997), Ioannina (1999), Nicosia Cyprus (2001),Thessaloniki (2003), Volos (2005), Patras (2007), Samos (2008), Corfu Island (2009), Tripoli (2010), Kastoria (2011), Athens (2012), Thessaloniki (2013), Athens (2014), Athens (2015), Patra (2016), Larissa (2017).